Review: Bowdoin College, founded in 1794, is a private liberal arts college located in the coastal New England town of Brunswick, Maine. The college enrolls approximately 1,700 students and has been coeducational since 1971. It offers 33 majors and 4 additional minors, and the student-faculty ratio is 9:1. Brunswick is located on the shores of Casco Bay and the Androscoggin River, 12 miles north of Freeport, Maine, and 28 miles north of Portland, Maine. In addition to its Brunswick campus, Bowdoin also owns a 118 acre (478,000 m 2 ) coastal studies center on Orrs Island and a 200 acre (809,000 m 2 ) scientific field station on Kent Island in the Bay of Fundy. 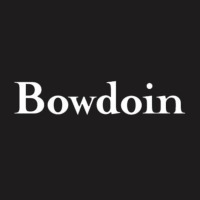 Location & access map for "Bowdoin College"